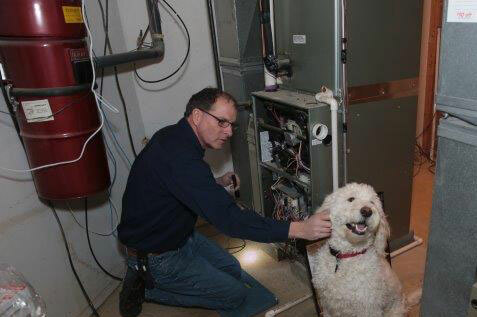 For over five decades, S & M Heating & Air Conditioning has installed Heating and Air Conditioning systems in thousands of homes, over twenty thousand apartment units, condominiums, and senior living housing. We always take pride in providing a quality product for each installation. With our great reputation, we have kept many of these homes for our maintenance and service division throughout the years. Our commercial division has the capacity to handle your HVAC turnkey from initial design, survey construction process to final commissioning. 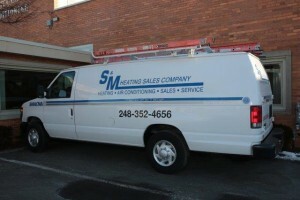 S & M Heating & Air Conditioning is primarily a design/build company with decades of experience in engineering, design, estimating, HVAC installation – equipment, sheet metal and controls work. 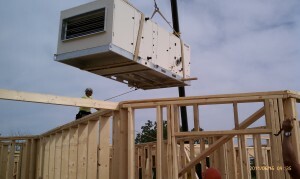 In addition to new construction HVAC projects, we have vast experience in HVAC remodel and renovation. 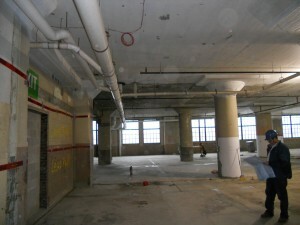 Our commercial HVAC history encompasses office, manufacturing, warehouses, computer rooms, restaurants, fitness centers, natatoriums and other various architectural forms. Rooftop and HVAC equipment replacement, ductwork, air distribution revisions and modifications, controls and operation issues are typical problems and opportunities that we work with our customers on every day. The strength of our company comes from our employees many whom have been with us for over 20 years. 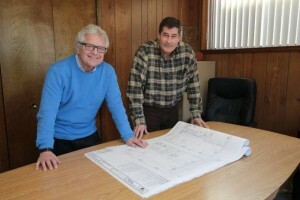 Our team is comprised of office and field experts. 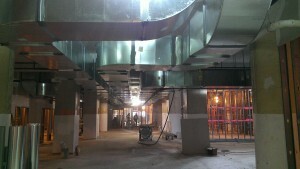 We all work together to complete the project till our customers are satisfied with the results. Let us come work for you. You may wish to consider replacing your air conditioning or heating system if it is old, inefficient or in need of repair. Today’s systems are as much as 60% more efficient. In addition, if not properly maintained, wear and tear on a system can reduce the actual or realized efficiency of the system. If you are concerned about utility bills or are faced with an expensive repair, you may want to consider replacing your system rather than enduring another costly season or paying to replace an expensive component. 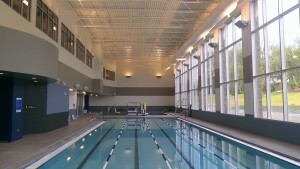 The utility cost savings of a new unit may provide an attractive return on your investment. Turn up the Temperature: You can easily save energy in the winter by setting the thermostat to 68°F while you’re awake and setting it lower while you’re asleep or away from home. By turning your thermostat back 10° to 15° for 8 hours, you can save 5% to 15% a year on your heating bill — a savings of as much as 1% for each degree if the setback period is eight hours long. The percentage of savings from setback is greater for buildings in milder climates than for those in more severe climates. In the summer, you can follow the same strategy with central air conditioning by keeping your house warmer than normal when you are away, and setting the thermostat to 72°F (26°C), or your level of comfort, only when you are at home and need cooling. Although thermostats can be adjusted manually, programmable thermostats will avoid any discomfort by returning temperatures to normal before you wake or return home. A common misconception associated with thermostats is that a furnace works harder than normal to warm the space back to a comfortable temperature after the thermostat has been set back, resulting in little or no savings. In fact, as soon as your house drops below its normal temperature, it will lose energy to the surrounding environment more slowly. The lower the interior temperature, the slower the heat loss. So the longer your house remains at the lower temperature, the more energy you save, because your house has lost less energy than it would have at the higher temperature. The same concept applies to raising your thermostat setting in the summer — a higher interior temperature will slow the flow of heat into your house, saving energy on air conditioning. This depends on what type of filter system you have.1″ disposable filters should be changed every 3-4 months. Wider media style filters should be replaced once or twice a year. These are usually 4-6” wide and are considered a premium type filter. If you have an electronic air cleaner you will need to clean or wash the cells every 3 months. 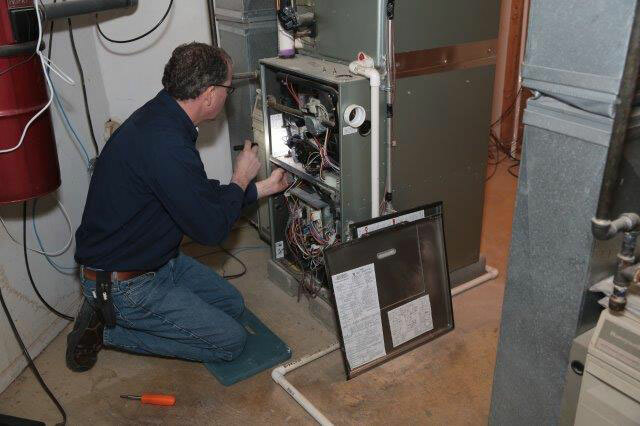 By maintaining the furnace, it runs at peak efficiency. It maximizes the system’s performance and provides more comfort for YOU. We want to identify problems before they occur. We cannot guarantee that you won’t have a breakdown during the winter after a tune-up but regular, annual maintenance decrease breakdowns.